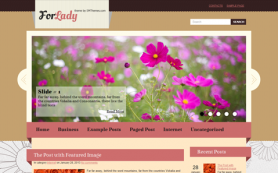 Fashionable themes are distinctly different and extremely appealing to the eyes. 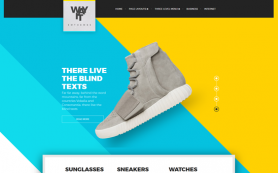 Like this design, inspired by the world of fashion, you too can enhance your brand image and grow your fashion business with the help of a premium WordPress theme. With elements of black and grey, the layout has a rich background that will make all your images and content stand out. Get started on using this free WordPress theme by downloading and installing this theme in minutes! You will never have to use any kind of code-editing to edit this design.